Are you ready to IDENTIFY and RELEASE root patterns and emotional pain you've been holding onto? Have you been "TRYING" over and over again to clear these patterns and they keep showing up? Are you WILLING to let go of these patterns of energy and begin the next part of your life feeling lighter and more at peace? During this session, through conversation and connection to your Akashic Records, which is your essence and your soul's wisdom, we will identify the patterns/challenges you have been experiencing. As we explore these patterns, we will identify the root causes that need to be cleared offering you clarity and understanding for the way you have been feeling. Together, we will reach back in time, which helps to get clear on the patterns and a perspective on how long you have been holding onto them consciously or unconsciously. We will also discuss tools/methods/techniques you can use to prevent bringing these patterns back into your matrix after the clearing process. During this session, we will clear from the energy matrix that is You, the specific energetic patterns that are connected to each issue. ​"What an extraordinary time we live in!! One of the amazing benefits of the current energy is our ability to powerfully shift old patterns more than we have ever been able to in the past!! For many of us, all we are aware of is that we feel stuck and in emotional pain! Now is the time to "consciously" clear these energy patterns!! Imagine what it would feel like to be FREE of this pain!! In Love With You & Your Life!! "... 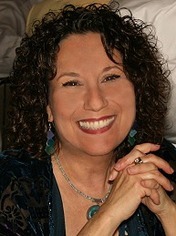 The first time I went to Ilene Gottlieb for a healing session and it was evident that she is a gifted healer. I gained insights as to why I'm having health challenges and what I need to continue to do to heal. The healing was a beautiful experience. The second time, I had an Akashic Records Reading with Ilene because I was feeling stuck in my life and my career. I wanted to gain clarity on my soul's purpose and business direction. Not only did I receive extremely valuable information, clarity and insights from the session, she was able to pinpoint my core issues. ​Shortly after my session, I attracted a new client who invested in my highest priced program! Ilene is a compassionate, caring, loving lady as well as a powerful healer and intuitive. I highly recommend her ..."
Ilene and I were brought together at a time in my life when I had been dealing with chronic back pain and spasms. After our first conversation I noticed considerable relief. After our first appointment I knew my life would never be the same. Thanks to Ilene I was able to discover, and release, the emotional baggage that had weighed me down for so long. She helped me to develop the tools and skills to handle whatever shows up in this journey called life. With her help I was able to discover my true talents and abilities. I found me. Her talent and dedication as a counselor and facilitator are inspiring to say the least. I am truly grateful for her presence on this planet and in my life. ​With Gratitude and Love, Brian R."
About Ilene: Speaker, Author, Radio Show Host, Guide To Conscious Heart Connection. A Registered Nurse with over 45 years of experience, she approaches client’s issues with love and compassion, with intuitive abilities and a holistic approach that empowers others to identify their core issues very quickly and find inner peace and healing. Her passion for teaching conscious heart connection is expressed through Akashic Records (Psychic/Intuitive), Medical Intuitive Readings and Vibrational Healing Sessions. She also offers experiential workshops that expand conscious heart connection, special VIP experiences for Facilitators of Vibrational Healing to expand the gifts and services they offer to their clients and she teaches Egyptian Emotional Clearing processes and facilitates the Feelings Circle, a gentle emotional clearing workshop utilizing guided imagery, therapeutic grade essential oils and energy wellness tools to literally clear the energy patterns of toxic emotions and trauma.